Born in Rome in 1965, Antonio Farao has been considered an extraordinary talent since his early teens when he used to sit in at jazz clubs. 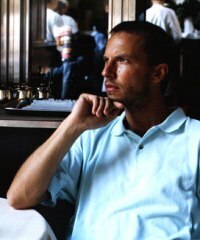 He soon took part in festivals such as CIAK and Umbria Jazz. A multi-award winner in Italy, he has internationally collaborated with prominent artists such as John Abercrombie, Gary Bartz, Billy Cobham, Ronnie Cuber, Chico Freeman, Richard Galliano, Antonio Hart, Lee Konitz, Bireli Lagrene, Didier Lockwood, Branford Marsalis, Tony Scott, Buster Williams and many more. Influenced by the early John Williams (a pianist best known for his recordings with Stan Getz and Phil Woods), Antonio developed his own virtuosic, yet soulful style that is hailed among insiders as one of the finest voices on jazz piano today. 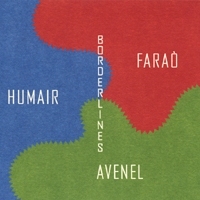 In May 2000, American magazine Cadence commented on Farao's ENJA debut, "Black Inside": "Farao at times recalls McCoy Tyner and Herbie Hancock but basically has his own advanced style. The pianist is particularly adept at building up his solos, his technique is quite impressive and his originals contain enough quality to hold one's interest throughout."